Wear the hat that fits you best. Our technology and chutzpah could make your payroll painless. Let us show off what we can help you do, no charge. Casual flings? No drama, as long as you pay your contractors. Try us, for free. Fair warning - you’re gonna develop feelings. Accurate, on-time, and tax compliant, we keep your staff paid with just a few clicks. Contractors aren’t going to stand around waiting for their pay. 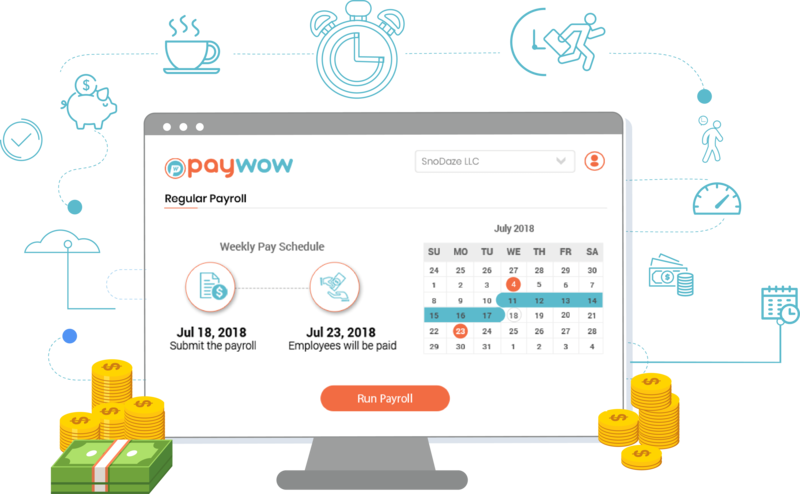 With PayWow, quickly send them on their way satisfied. Oh, and did we mention we handle W9’s and 1099’s as well? Need a system for your system? Uncomplicate. We’ve got the whole thing in hand. Technology and know-how to meet your needs. Contact us to learn more about our enterprise solution. Treat yourself to the lowest rates around. Starting at less than $9/month, with loads of features thrown in. We know how to create extraordinary products, with the best customer support!